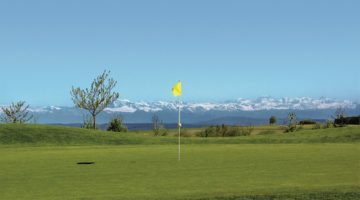 The 18-hole Schönenberg course lies in a moraine landscape amid hills left by the last Ice Age, mixed together with intervening marshlands and nature conservation areas. The entire area exudes wholesome tranquillity, thanks to its rich and varied plant life. Golfers of all levels find Schoenberg fascinating for its highly versatile fairways, providing players with more than a few tricky play decisions. Why not come over and play? 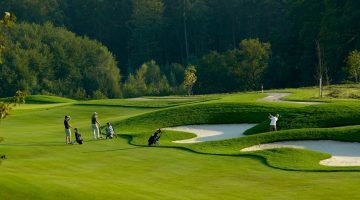 Enjoy the idyll blended with a challenging round of golf. Two driving ranges, a pitching green with two bunkers and a putting green, 21 tees, 10 of them sheltered. 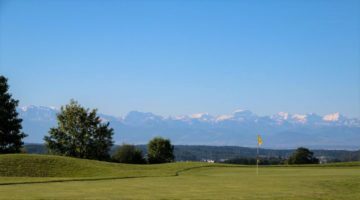 Members of the Association of Zurich Clubs (Breitenloo, Dolder, Hittnau, Luzern, Niederbüren, Zumikon) may play on the course 10 times a year. Members of other clubs or organisations are allowed to play 3 times a year. Members of ASG clubs and recognised overseas clubs with membership card confirming a maximum handicap of 30 are eligible to play (non-club members are not eligible). Guests can play from Monday to Friday. Weekends are reserved for members and their guests. Guests of members are required to submit a maximum handicap of 36. Each guest must phone the Club Secretariat in advance to register. Appropriate dress code. Metal spikes prohibited . The use of phones is only in the parking area and locker rooms allowed.